Fest auf meine Treue bauen! My heart belongs only to you. 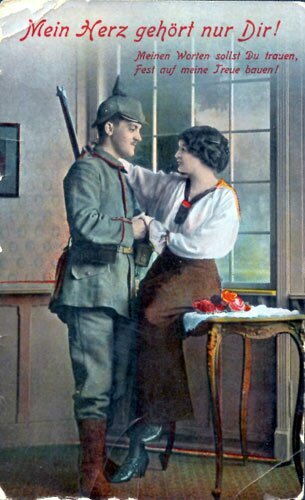 German postcard: You should trust my words, you can depend on my vow. Click on the picture to see the next one in this Romantic Color Photographs series, or click here to go back to the summary page.